I finally took the plunge and bought some Supermiata Xidas. I can’t wait to install them and start playing around with setting it up! I’ve been going to track days and autocrosses on the OEM super BLOWN shocks for the past few years now. 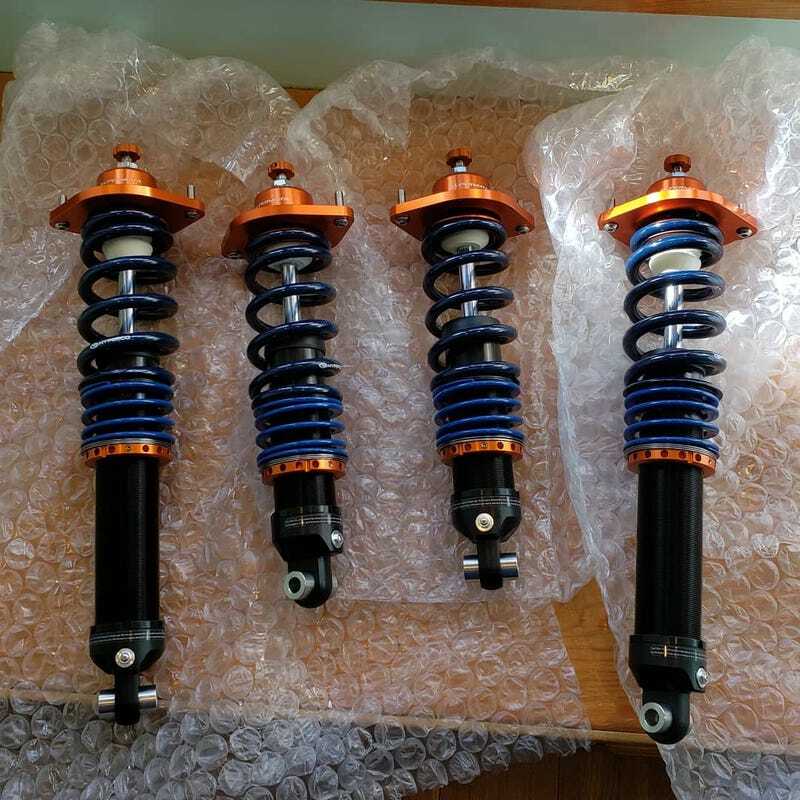 In fact, they may actually be the original shocks from 1992! I haven’t replaced the shocks since I bought the car over 10 years / 50,000 miles ago, and they were already borderline shot when I got the car. Those 50k miles were rough, too; either pot-hole ridden NYC streets or thrashing it at AutoX/DEs. A part of me didn’t want to get new coilovers. It’s a really good feeling when you post times barely off of other NAs that have a coil over setup and new RE71Rs... Not to mention, when you upgrade the suspension, you lose the excuse that the suspension is slowing you down! I remember how BIG of a difference changing tires made, I can’t imagine what the new coilovers will do. When I swapped the front swaybar to a beefy Racing Beat one, it didn’t really feel like it made the car grip more, it just changed the dynamics of the car to noticeably understeer more. It was a welcome addition at autocross, but it lost some of the fun on track. Hopefully I can dial in more neutrality into the car with the dampening settings depending on the event. Tuco the Miata is almost perfect in my eyes. I have a few more items to install, some tweaks, but it’s close. Then it’ll be just a matter of dialing in the suspension and replacing all the parts I break.